The sunlight that reaches earth that we a primarily concerned with, is UV (ultraviolet) , Visible light and IR (Infra-red). This article, and subsequent ones are here to help create and awareness and understanding in as simple way as possible. Please take time to read it if you are not familiar as its important to your health and those you care for. The chart below shows the regions we are talking about. Sunlight can be said to be responsible for life and has very positive effect on us, but it also carries invisible dangers, UV and IR are invisible to the eye and damage to ones health can occur if precautions are not taken. UVA and UVB that reach the Earth's surface contribute to the serious health effects listed below. The UV Index is a forecast, of the amount of ultraviolet expected to reach the Earth's surface when the sun is highest in the sky. The higher the index, the faster UV radiation causes damage to the skin and eyes. The index depends on the elevation of the sun in the sky, the cloud cover, and amount of ozone. The Index predicts UV levels on a 0-10+ scale. Always take precautions against over-exposure, and take special care when the UV Index predicts exposure levels of moderate to above (5-10+). From the Figure above we can see the dangerously high levels during the summer (red-purple zones). The respective sunscreen SPF recommended for any given UV-Index, is indicated in the table below. Ultraviolet light consists of UVA (320-400 nm) and UVB (280-320 nm) rays. UVA rays are considered the "tanning" rays. UVA can penetrate deeply into the skin resulting in damage. While UVB is considered the "burn" index and is most associated with sunburns, both UVA and UVB cause suntan, sunburn, and sun damage. There is no "safe" UV light, and no such thing as a safe tan. Newer broad-spectrum sunscreens contain products to block both UVA and UVB. Sun exposure depends on many things. It varies with the time of day, season, location, and altitude. High amounts of UV rays can penetrate clouds. Clouds, water, white sand, concrete, and snow all reflect UV rays and increase exposure. Exposure to the sun between the hours of 10 am and 4 pm is very damaging. Damage to eye tissue by repeated exposure to UV radiation is incremental and irreversible. have previously been shown to be sun related .Cataracts are a major public health problem, being the primary cause of loss of vision in humans .Even low UV irradiances have been reported to increase the risk of human cataracts. Solar UV irradiances are one of the most important environmental determinants. Minimization of ocular exposure to UV radiation is essential to prevent these eye disorders, and for this to occur. The ocular UV environment is a function of both the direct and diffuse components of the solar radiation. 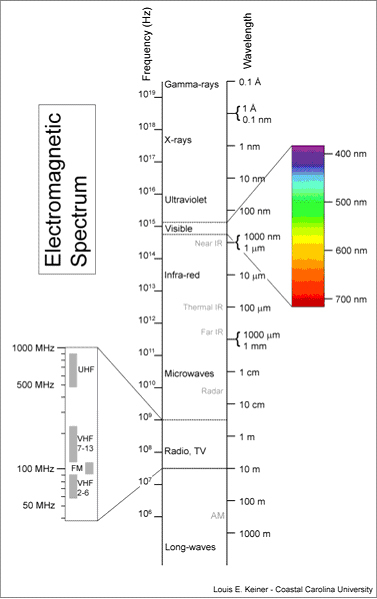 The diffuse component has an effect on the eye because it comes from all directions and there is a greater proportion of the shorter damaging UVB wavelengths. One of the reasons for this is the greater scattering by molecules and particles at the shorter wavelengths resulting in five- to 10-fold more UVB being scattered compared to visible radiation. This part is important when we have reflections of sea and sand. What can I do to protect myself ? Use spectacles with UV filters, filters that block out all UV (to 400nm) are recommended, wide brim hats, cover up exposed areas, be especially careful for babies and young children and if extreme then, stay at home. Dont be mistaken by tints, as these only allow certain visible light to pass through the lens. UV protection is not dependant on tint darkness. If you lenses is made of glass this may offer little protection from UV. Spectacle lenses are commonly made from 3 materials: Crown Glass, CR Resin ‘plastic’, and Polycarbonate. In terms of the best safety, polycarbonate lenses rank at the top followed by CR39 resins and then a treated crown glass lens. When comparing polycarbonate lenses to lens materials made from crown glass, it is interesting to note that clear and coated crown glass lenses provide no effective protection from UV radiation. Some solid (through the glass) tints offer partial UV radiation protection. CR39 resin lenses block UVB and therefore offer partial protection in their clear form. (A UV inhibitor can be added to block UVA in the CR39 material). Polycarbonate lenses block UVA and UVB (up to 380 nm) in the clear form. I’m parked in my car viewing the surf through the windshield for couple hours, is this OK ! I have contact lenses which state ‘UV blocking’ on the box ! This is very helpful indeed and will protect the internal parts of your eye, but still doesn’t protect other parts of the eyeball which are exposed. I had my cataracts removed, my lens cant get damaged again ! The crystalline lens inside the eye can be demonstrated to change in response to ultra-violet, and any loss of transparency is technically a cataract. But the typical cataract has adaptive (beneficial) aspects, namely the side effect of protecting the sensitive retina. The lens turns yellow (the best color to block UV) and gets milky, measurable more opaque to ultra-violet. If you have had cataract surgery, your surgeon can tell you whether or not your implant is UV protected. If not, you should already know that special protection is important, as you could get serious retinal damage since the protective natural lens which absorbs the damaging rays is absent and this will now be absorbed by the retina, and unlike the lens cannot be replaced. Other articles to follow include, infrared and its effects, choosing a good lens, tints, photochromics and polarizers. Accredited Manchester(uk) Cataract and Diabetic Screening Optometrist. Very interesting, thanks for the info, we almost most times ignore this fact and not realising are harming ourselves.